texasretrovideogames has no other items for sale. 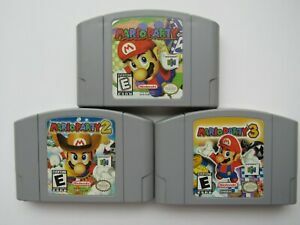 OEM Mario Party 1 2 3 Nintendo 64 N64 Authentic Video Game Cart Original RARE! Very fast shipping, item as said!